All things being equal, I’m not a big fan of cigars that employ Mexican San Andrés wrappers. 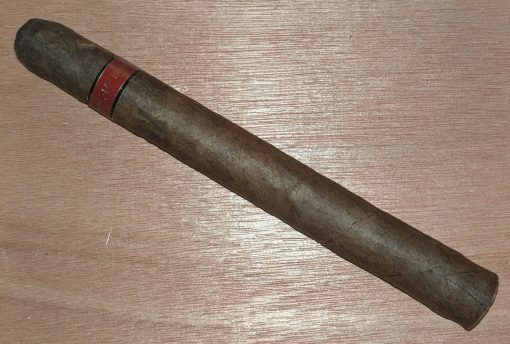 But this Churchill-sized Illusione, which has over three years of age and also uses Nicaraguan Criollo ’98 and Corojo ’99 tobaccos, is no average Mexican Maduro. It features a medium-bodied combination of oak, cocoa, slight clove, wood, and leather. The complex smoke has a flawless burn, including a sturdy ash that holds for a full two inches.